Signed and noted. Thanks Anna. I am doubtful that this would work: "Join us and encourage our conservative leaders to support clean energy and free market reforms that protect birds and preserve the North Carolina we all know and love." Conservatives do not generally support clean energy or environmental conservation or protection. And the idea that "free market reforms" would strengthen environmental protection is highly dubious, considering what the free market has done to forests in Indonesia, Malaysia and the Amazon, to name a few. Perhaps this take on environmental protection isn't so surprising given that the National Audubon Society supported nuclear power a couple of decades ago, and may still for all I know. Eres una de las 615 personas que han firmado esta petición. All the advancements are absurd if we can't even save our nature. You’re one of 668 people to sign this petition. 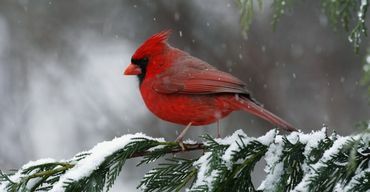 Thank you for your interest in “Take a stand to protect North Carolina’s birds from a changing climate”. Fran F: As far as I am concerned, reform by "Free Market Values" would mean, GETTING RID OF Corporate Capitalist "Free Markets" and free, un-regulated permission to stomp all over the Environment for the sake of Private Profit$$$ and the DESTRUCTION of everything in their way! We need a CARING, COMPASSIONATE SOCIALISM for the PEOPLE - and Animals! We NEED SOCIALISM FOR SURVIVAL. The Corporate Capitalist $y$tem has PROVED that it is NOTHING BUT A DEATH SYSTEM - delivering ECOCIDE, nothing else! to all but the very privileged few, the selfish uncaring 1%...!